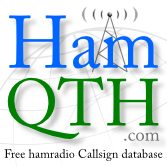 After call book got public, I got a lot of databases from users, who like the idea of HamQTH, and imported it. Thank to them, the database had more than 1 300 000 call signs. Great! Thank you! A month or so later, I created XML access for logging programs. First log, that used it was DFHLog from Jesus, EA7DFH. He was faster than me! After DHFLog, XML search supported also CQRLOG. Not so many programs, but it was the beginning. After another month I added Google map support. It is working very well and location is calculated from station address, not from grid square. Sometimes it didn’t find the address and it would be great to point location from grid square. It is on my todo list. Also it should calculate missing grid from position pointed by Google from address. Also on my todo list, please stay tuned. Thanks to map position, HamQTH calculate azimuth and distance between you and the station and the sunrise/sunset as well. Also more programs implemented XML lookup e.g. LuxLog, WinEQF. I moved the database to another faster server. Web stayed on it’s original location. Another great feature I added a few weeks later - Recent activity. I wrote small program which is connected to RBN and DX cluster and collects all spots. I must say, it is a lot of spots! During CW WW CW program collected over 2.5 million of spots from RBN and DX cluster. I save only recent 100 spots for every station. Older spots are deleted. Right now, the database has over 2.7 million records and the number is growing. I believe that a lot of records will be wrong calls but I can’t delete it, I don’t know which are wrong. With Recent activity function I also modified the website and all texts can be translated into other languages. Today, website is translated into 13 languages. On the beginning of October I created special ADIF interface for Logger32, added prg parameter to XML search and implemented internal XML search statistics. Since then other logs add XML search support for HamQTH e.g. Fldigi, UR5EQF log, MaxLoggerDX, RUM log etc. XML statistic has many records. On the top is UR5EQF Log with almost 62 000 requests, the second is Logger32 with almost 49 000 requests, the third is HamReference. Together since 7th of October there has been over 268 000 requests to XML search. After 6 months on line we had over 72 000 visitors, almost 500 000 page views and 6 152 registered users.